I almost didn't write anything for this week's challenge. Well, because I never went to prom. Being an introvert, I got out of going (with some lame excuses) even though I was asked. My mom made me a baby blue dress for one of the proms, but I just couldn't bring myself to go, so I canceled my date. Bad, I know. My mom, siblings, and me in front of our house. 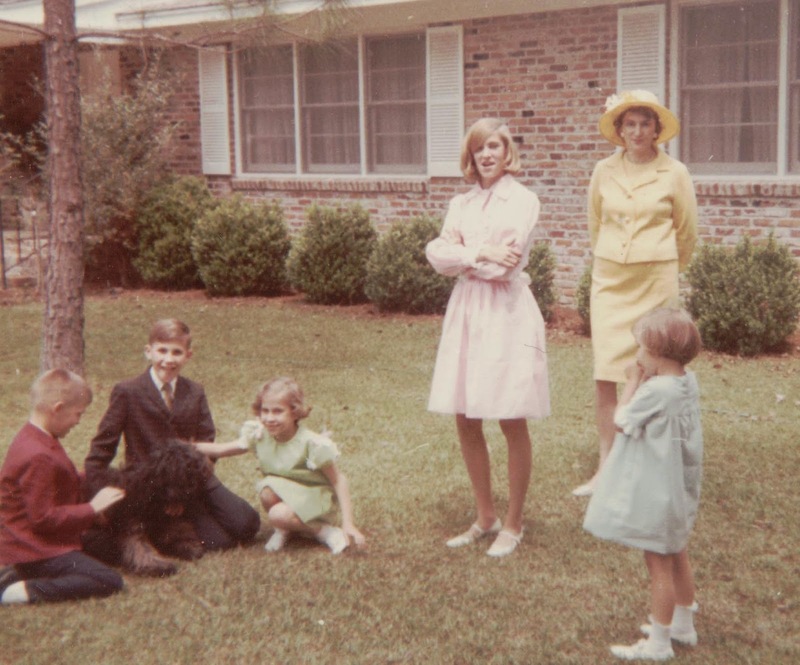 Easter 1968.